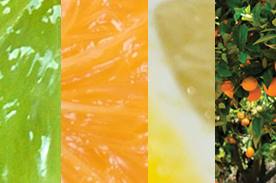 We are a Brazilian citrus processing company which provides natural products with premium quality – frozen concentrated juice, cold pressed oil, oil phase, water phase and terpene. All processed fruit comes from our own plantations and from farms of partner growers. 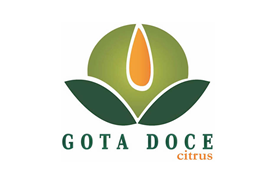 We care not only with the quality of our products, but also with the environment and the well-being of employees and community, and by this reason GOTA DOCE CITRUS invests in training and programs for quality and continuous improvement. All our products are 100% natural, with no added sugar or any other element. 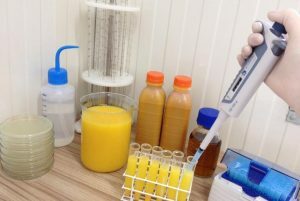 Produced with selected fruits, they can be found in various industries such as food, pharmaceutical, cosmetic, chemical industry and others. Our commitment is evidenced by the certificates KOSHER, HACCP and HALAL, participation in the Voluntary Control System (VCS) of SGF International and approval on audit for BSCI (Business Social Compliance Initiative).